In early July of 2018, news surfaced that immigrant recruits and reservists are being discharged from the Army and, in many cases, being given no real reason for their discharge. The Associated Press, which broke the story, was unable to find out how many people who enlisted through the Military Accessions Vital to the National Interest (MAVNI) program have been discharged to date, but immigration attorneys told AP that they know of more than 40 people who have either been discharged or whose status has become questionable. MAVNI provides a way for the military to recruit foreign-born people with special knowledge, language, and cultural skills in order to advance the security of and contribute to the success of U.S. operations in other nations. In return for their service, they are guaranteed a “path to citizenship” in the United States. 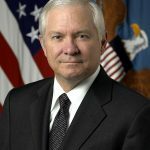 The MAVNI program was authorized by Secretary of Defense Robert Gates in 2008. Its purpose is to address critical shortages of medical personnel and people who could speak one of 46 languages critical to military mission success or national security. It allows the military to enlist certain qualified noncitizens in the U.S. armed services. Since 2009, more than 10,400 people have enlisted or served in the U.S. military through MAVNI; approximately 10,000 of those individuals are still in the service or waiting to serve. To be eligible for the MAVNI program, recruits must have legal status in the U.S., such as having a student visa, being an asylum seeker or refugee, or being eligible under DACA. People who have or are applying for permanent resident status in the U.S. are not eligible for the program. MAVNI candidates must pass extensive security and suitability screenings before they are admitted to the military, and while enlisted, they must consent to continuous monitoring and annual background checks. However, the program is no longer accepting applications at present. Both the Pakistani and Iranian recruits spoke to AP on condition of anonymity because they fear what might happen to them if they’re forced to return to their home countries. There’s plenty of proof that MAVNI has been an asset to the U.S. military. A review by the RAND Corporation showed that the immigrant recruits have actually been more cost-effective than native-born recruits because they outperform their citizen peers in the areas of performance, education, attrition, and promotions. In 2012, Nepali-born Sgt. Saral K. Shrestha was named U.S. Army Soldier of the Year. The problem with the MAVNI discharges isn’t so much with the discharge itself as it is with the conditions of the discharge. The MAVNI recruits are being given “uncharacterized discharges,” which are neither honorable nor dishonorable. It’s not clear at this time how that could affect their status as legal immigrants. 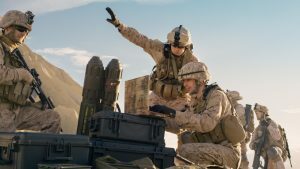 Veterans and policy experts also contend that MAVNI soldiers and other immigrants in the military enhance our military readiness and national security. As of 2016, almost 511,000 veterans were foreign-born. More than 20 percent of recipients of the Congressional Medal of Honor are immigrants.